Dishonored 2 was my favorite game of 2016—by quite a large margin. It's exactly the kind of game I like most: neither a linear, purely story-driven game nor a massive open-world game stuffed with busywork, but rather a focused game with sandbox levels. It was a brilliant game that combined superb mechanics with some of the most creative levels in any game ever, and it challenged you to come back over and over again to explore different paths and strategies for new emergent gameplay possibilities. Death of the Outsider isn't a sequel, but a standalone expansion. Presumably because it's a significantly shorter experience, all of the magical superpowers are unlocked near the beginning of the game. There are only three, and unlike in the previous full-length games, they can't be upgraded. The story centers on a character from the sequel, Billie Lurk, and her quest to destroy the annoying goth-bro demigod "The Outsider" who is for some inexplicable reason a thing in these games. She blames the Outsider for many of the world's woes, and figures everyone would be better off without him. One thing's for sure: the Dishonored series would be better off without him, so maybe this is developer Arkane Studios' not-so-subtle way of moving him aside for a possible full-length sequel. And the story is fine. Billie is a bit of a mysterious character in Dishonored 2, and remains so here; we learn only a few cursory details about her past and her motives, just enough to set the plot in motion so players can start whooshing, sneaking, stabbing, and generally causing chaos (or not, if you prefer). The resolution is almost painfully predictable, with a binary 'choice' hinted at early in the game that anyone can see coming a mile away. It didn't feel particularly weighty for me, precisely because I wasn't terribly invested in Billie as a character; but it does nicely flesh out the Outsider, who've I generally viewed as one of the more boring and unnecessary characters in the series. The levels are a mixed bag. Maybe it's just the time I spent in the first one, but the four levels here (not including a short introductory mission) feel smaller than the ones in Dishonored 2. That's not to say they're small (indeed there are plenty of ways to get lost), but Dishonored 2 had an imposing scale to it that I didn't quite feel here. Still, three of those levels are quite fantastic, and deliver most of the goods to which we're accustomed in the series. But after the sheer brilliance of the shifting walls of the Clockwork Mansion, the decrepit decay of The Addermire Institute, the ability to side with different factions in the Dust District, or bending time and facing its consequences in Aremis Stilton's house, none of the levels in this expansion feel as novel, deep, or clever. One re-uses the Conservatory from Dishonored 2 and does so in a fairly interesting way, but still doesn't reach the creative heights of the sequel's levels. They've been padded out a bit with 'contracts' that require you to explore the level more fully to complete various tasks and may ruin your plans to get through the game without killing anyone or anyone finding bodies; but while I did enjoy completing the contracts, I felt that Dishonored 2 never needed them. The real damper is that Billie's three powers just aren't all that interesting—there's a standard variation on the 'blink' power from the first two games, one that lets you scout ahead and mark people and objects, and one (the coolest one) that lets you impersonate people. That's it. Impersonation allows for some really creative solutions (especially if you're going for a full-stealth playthrough), but the first two games gave players a lot more ways to tinker with the sandbox elements, and their length allowed a nice rpg-like progression that let players discover new ways to use the powers. But above all, Dishonored 2 always felt consequential. How I chose to play the game—without leaving a trace, silently lethal, bloody and chaotic, or some combination thereof—affected not only the outcome of the game, but the very design of the levels and the choices other characters in the game made. In Death of the Outsider, aside from the sheer sandbox good time of it, there's no real incentive to play any particular way. Indeed, because of the contracts it's impossible to complete all the content on one playthrough if the goal is stealth and/or mercy. The ending, which comes at the end of a disappointing level that unwisely abandons most of the game's mechanics toward the final act, does not feel like a culmination of the player's choices as in the full games, but rather just trudges through the motions toward a predictable finale. There is still some great gameplay here; Dishonored 2 built an incredible foundation, and Death of the Outsider makes respectable use of it without truly standing on its own. The impersonation power is fun, and some of Billie's new gadgetry is enjoyable, too. Still, given what an ambitious and memorable game Dishonored 2 was, this expansion, like Billie herself, remains in its shadow. 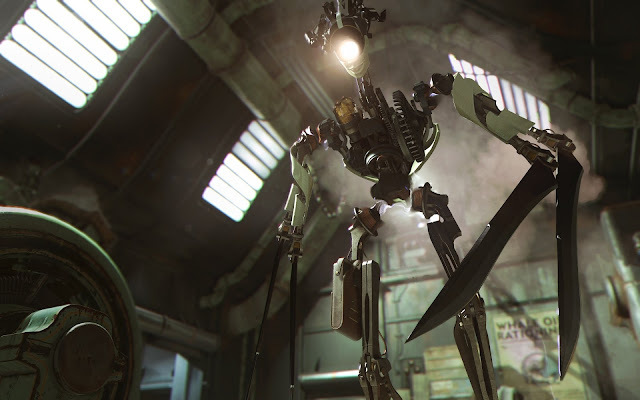 With reportedly underwhelming sales, it's not clear whether we'll see a Dishonored 3. It'd be a shame, though; Arkane Studios have proved themselves more than capable, and leaving behind the crutch that was the Outsider would undoubtedly be a step forward for the series.